It's always fun to catch up with the stars of Richard Donner’s seminal 80s adventure The Goonies. The young cast had more than its fair share of characters: from a teenage Josh Brolin to an already-famous Corey Feldman to proto-hobbit Sean Astin, The Goonies – now more than 30 years old – feels like one of those dyed-in-the-wool genre classics, the kind you just can’t make any more. Sadly, at the heart of the movie lies a very sad story indeed. 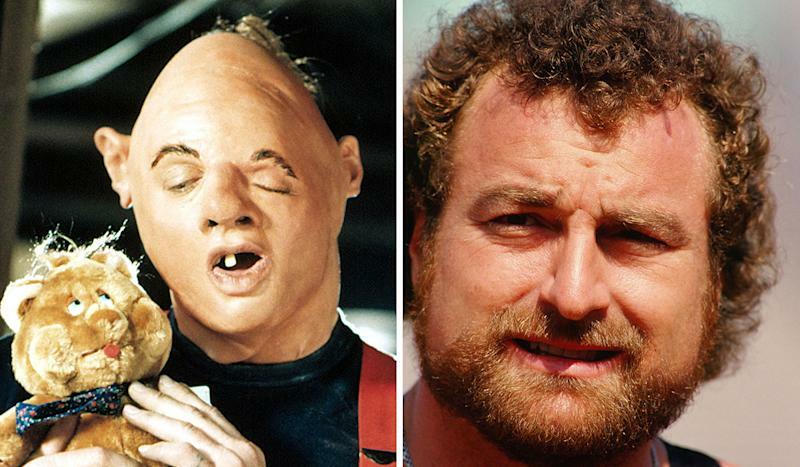 John Matuszak, the actor who so memorably played disfigured giant Sloth, died just four years after the release of the movie, hiding a past of drug and alcohol abuse from the Hollywood spotlight. The term 'larger than life’ seems woefully inadequate for a man of Matuszak’s stature; at 6'7 and 280 lbs he towered over everyone he met, and his booming laugh pounded them into submission. The Wisconsin native got his first taste of fame in the NFL in 1973, when he was picked in the draft and joined the Houston Oilers. However, it wasn’t until he was traded to the Oakland Raiders in 1976 that he really started to make waves (Sloth would later wear a Raiders T-shirt in The Goonies). A defensive end who could stand up and shut down even the most mountainous of opponents, Matuszak won two Superbowls with the Raiders before retiring in 1982 and moving into movies. Despite his popularity with fans, Matuszak – known as 'The Tooz’ – was not hugely popular with his teammates, due to an addiction to painkillers and other narcotics brought on by crippling back pain. His intake was legendary – he could either make it a night to remember or a night to forget. On one occasion, after a playful argument with Raiders assistant coach Terry Robiskie, Matuszak slapped his former teammate hard in the face and began shaking him – it took the whole team to prize them apart. 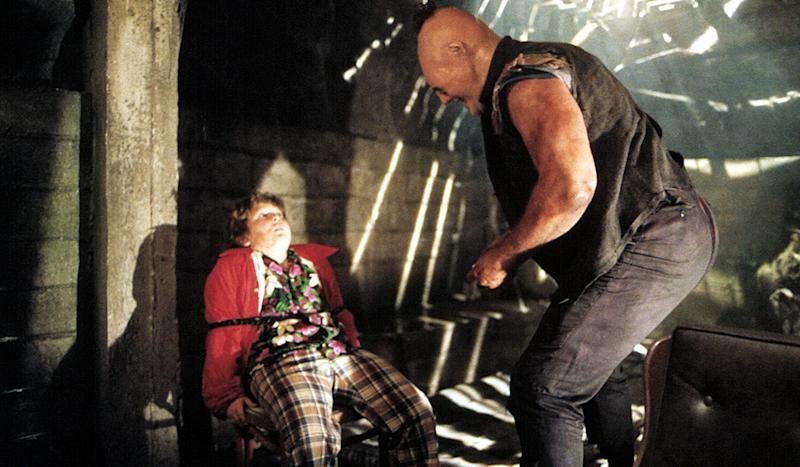 Such aggression just became part of Matuszak’s personality – the crutch which Robiskie broke over his head was mounted on the wall and labelled 'Biskie’s Tooz Pick’. An awkward beanpole growing up, Matuszak grew into a fearsome young man, one whose wrong side you didn’t want to find yourself on. As a university football player, he beat up a fellow student so badly he caved his face in, all because of a perceived slight on Matuszak’s girlfriend. Later, in his fourth professional football season, his girlfriend attempted to run him over with her car. After the break-up and a night of heavy drinking, the Tooz necked two sleeping pills at a bar and almost died – it was only his coach pounding him on his chest in the ambulance on the way to the hospital that kept him alive. Matuszak was also dangerously insecure. “I don’t know how many times I’ve seen The Tooz walk into a bar, grab his shirt with both hands, rip it open to the waist and growl like a lion at the top of his lungs. That tended to get everyone’s attention,” wrote former teammate Ken Stables. It wasn’t as if Matuszak didn’t know he was dancing with the devil. In his autobiography, 'Cruisin’ With The Tooz’, he lists six separate auto incidents that led to convictions, including drug possession, drink-driving charges, collisions with parked cars and two arrests for concealing weapons, which landed him in jail – he also wrapped his Cadillac around a telegraph pole the night he retired due to injury. “The man was in a lot of emotional pain,” said former partner Stephanie Cozart. “He had a lot of childhood stuff to deal with. He had a lot of present-day stuff. He was a therapist’s dream.” (Matuszak had two brothers, both born with cystic fibrosis; one died at birth, the other at just two years old). 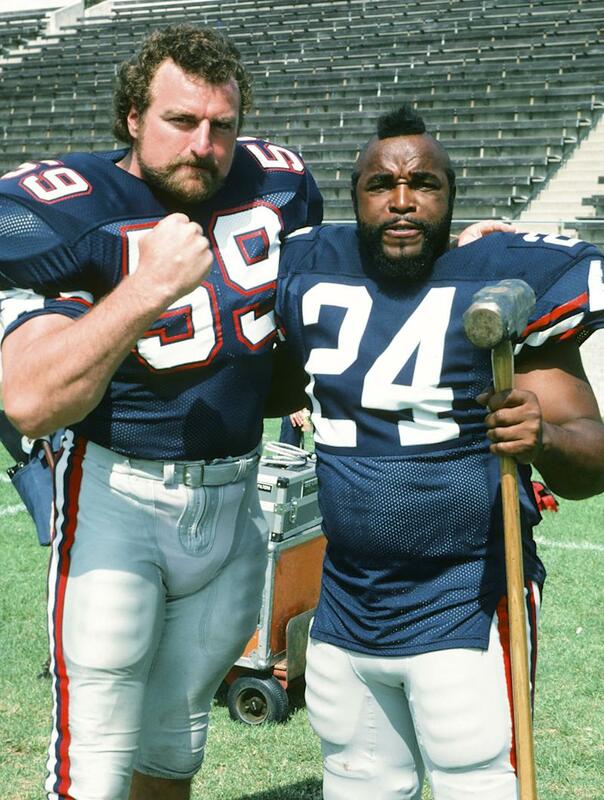 Hollywood was not the right place for John Matuszak if he wanted to go straight edge. After he retired from football, movies kept paying the rent. 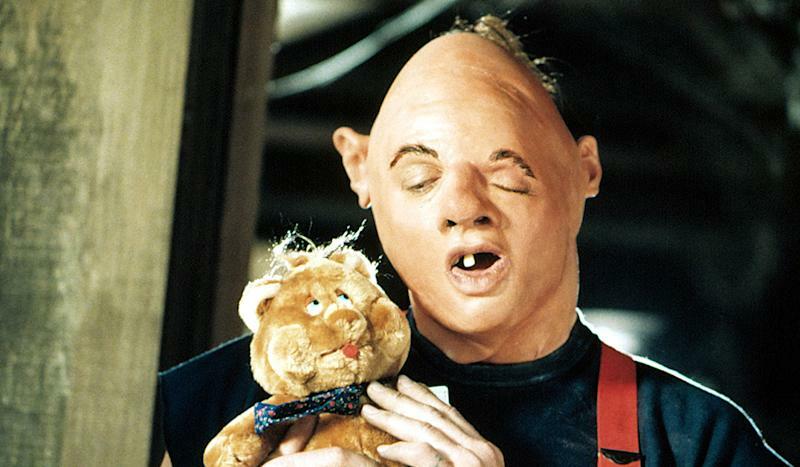 As well as playing Sloth in The Goonies – on which he spent five hours having make-up applied every morning – Matuszak played roles, mostly heavies and goons, in the likes of The Ice Pirates and Caveman. He also made appearances in Miami Vice, The A-Team and The Dukes Of Hazzard on the small screen, but Matuszak’s fame didn’t turn the volume down on his emotional problems and narcotic dependencies – if anything, it exacerbated them. Matuszak died of a drug overdose in June 1989, with fatal amounts of prescription drug propoxyphene found in his bloodstream, along with trace elements of cocaine and Tylenol. An enlarged heart turned out to be his undoing; an ironic death. as anyone who knew him would testify that he did indeed have a lot of love to give.